We JN Global Solutions in Bangalore offers best software training and placement in evergreen technologies like Database Developer Training, DBA Training, BI & Data Warehousing Training, Web Designing Training, Java Training, Software Testing Training, Microsoft Training, Oracle Applications Training, Mobile Applications Training, Oracle Fusion Middleware Training, Cloud Computing Training, IBM Training, Other Training and more to the students. We limit the batch size to provide very good interaction with each and everyone. We are having dedicated team for the student’s placement assistance. By giving expert level trainers who are working in top MNC’s we do prepare the students for their job. We assist the students for Job in their preferred courses. 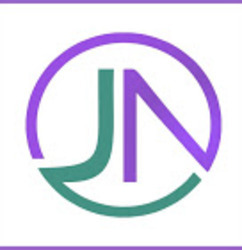 After getting trained at JN Global Solutions Bangalore you will be able to get vast experience by transforming your ideas into actual new application and software controls for the websites and the entire computing enterprise. To make it easier for you JN Global Solutions at Bangalore is visualizing all the materials you want. Our courses are continuously upgraded to ensure our learners are up-to-date on the latest industry requirements and best practices. Start brightening your career with us! And for location, search in Google maps in the name JN Global Solutions Pvt Ltd.